Compliment your home decor with the soft arches and beautiful open shelves of the Hawthorn Collection Bookcases. Available in 3 different heights allowing you to mix and match for a custom designer look. Paired up or on their own these open shelves are a simple contemporary way to organize your living space or add some personal style. Featured in our fresh Frost White finish this product is proudly made in North America. Designed with practical style, this stunning Nexera bookcase has plenty of room for all your favourite titles. Its open storage design lends to easy access and displaying of all your favourite books, knick-knacks, and photographs. Thanks to the sturdy construction of this Nexera cubed bookcase, your items will be well-protected and organized. 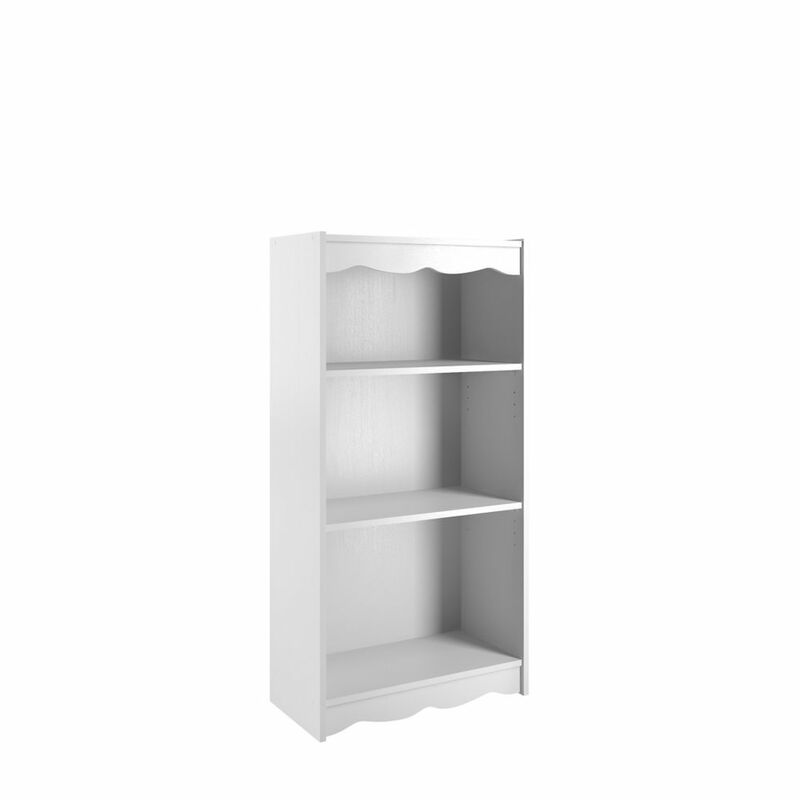 48-inch Tall Bookcase with Adjustable Shelves in Fresh Frost White Compliment your home decor with the soft arches and beautiful open shelves of the Hawthorn Collection Bookcases. Available in 3 different heights allowing you to mix and match for a custom designer look. Paired up or on their own these open shelves are a simple contemporary way to organize your living space or add some personal style. Featured in our fresh Frost White finish this product is proudly made in North America.